Stephen Mai has headed marketing for major media brands, including MTV, Vice Media UK and the globally popular LADBible website. His innovative work at LADBible turned a site full of diverting male-targeted clickbait into an award-winning producer of global social awareness campaigns. His latest role is Chief Content Officer and Marketing Director at Boiler Room, an online intersection of club culture, arts and music. Boiler Room has also just launched a video on demand platform, 4:3. Mai tells FEED how his own style of radical innovation and risk taking has been a formula for success. FEED: Can you describe the genesis of Boiler Room? 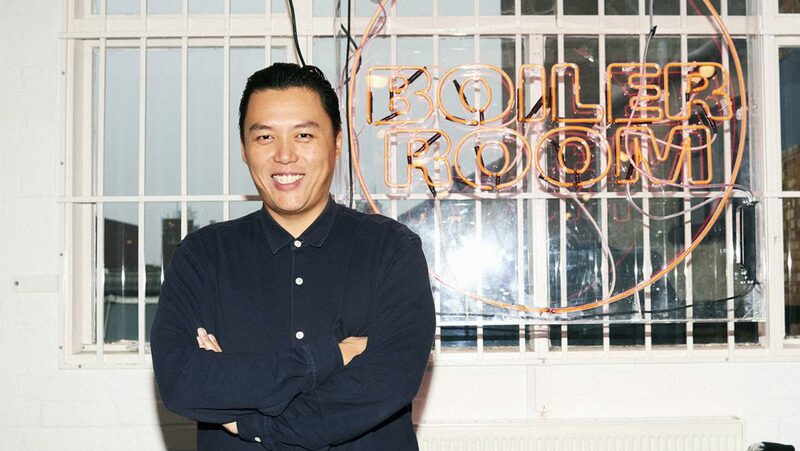 Stephen Mai: Boiler Room started as a webcam in a room broadcasting a bunch of people in East London partying. Through a kind of happy accident it developed into a global movement. 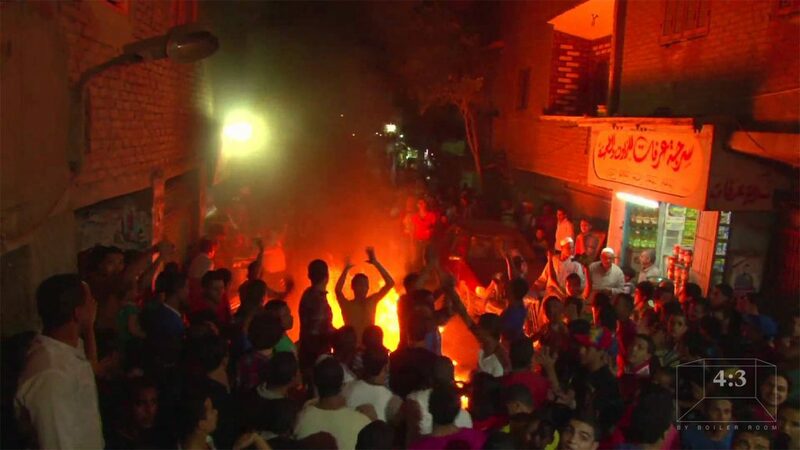 We realised people were watching this live stream from all different parts of the world, and that there were all these cultural scenes in cities all over the world that were kind of hidden. People don’t get to experience them. But the internet has actually created this opportunity that gives underground culture a platform to appear on a bigger scale. Through that, organically the business grew to cover big parties with big live streams with some very interesting and diverse and exciting electronic acts. It’s diversified to include music from all different genres. It started off in London, but it’s become a global proposition where we’re activating in places like Japan, Africa, Australia, South America, and bringing and building a collective of young people who are really passionate about culture, who are really interested in politics. From having access to this audience, we’ve been evolving our proposition. We’ve started creating more video content. We’ve been creating documentaries to tell different stories about the cultures we encounter when we do our live events. Most recently, we introduced 4:3 which is like our Netflix for the underground, to service the cultural appetite that our audience have. We want to redefine the traditional media brand by going hyper-curation rather than driving mass content. FEED: Live events seem to have been a big part of Boiler Room’s DNA. How are you using live events and live streaming? Stephen Mai: It’s been our USP in a way. I think we’re one of the very few brands that connects with our audience in real life on such a regular basis. Last year we did over 600 events globally. We’re seeing our audience every single week and that has created kind of a unique relationship with them. That’s also in the nature of where we started, broadcasting live music to this global community of people who like to consume content as it happens. The live experience is a way of viewing which is more interactive and less isolated than other kinds of content watching. Through the evolution of that and of developing different channels where we can communicate with our audiences, we then have explored things like VOD. Obviously, once the live experience is over, we have hundreds and hundreds of hours of archive of the biggest DJ sets, but we also have documentaries and now a massive collection of underground films and music videos. As much as live is important to the experience and very much part of the ethos of what we do, VOD is something we’ve been building a library around and something we’re pushing as well. FEED: Are you also focusing on creating real world events and then building content around those events? Stephen Mai: Definitely. Our business runs across different strands that all focus around the same overriding ethos which is championing the underground scene and supporting underground artists and celebrating music and culture globally. The live element is really interesting because we have an opportunity not just to broadcast culture, but to also really engage with it in real life. Inherently, through our connection with local scenes and collectives, we’re allowed to create something quite authentic that we broadcast as it happens. The other strand of the way we communicate with our audience is through creating long-form series and documentaries which have the same ethos of leveraging and exploring the things we’ve seen on our travels. Whereas the live experience is about being in the moment and hype and creating an environment where you see young people all over the world enjoying themselves and interacting, our other piece is around telling stories of the cultures that surround those live experiences that we create. FEED: Is it the same audience watching your live event content and on-demand content on 4:3? Or are those reaching separate groups? Stephen Mai: I think both audiences overlap heavily. How people interact with each of those viewing experiences depends upon what they’re doing. Maybe they’re just going out, or maybe they happen to be on their phone on the bus and a live stream pops up. You see people engaging and exploring and watching things they might not have necessarily been looking for. The person who engages with our live content may also go home and say ‘I want to engage with content that isn’t on mainstream channels’ and go to 4:3 and have a very lean-back experience. I think it’s essentially the same audience that’s interested in culture, that’s passionate about music and looking for an alternative narrative, something that is counter to what is being served up on other media platforms. The whole concept around 4:3 originally was that we wanted to subvert the experience of going to a cultural institution. For instance, going to the Barbican, you might go to an installation where you see different types of video and different types of archive, but you’ve gone there knowing what you’re going to experience. But imagine if you could leverage the way the social ecosystem works, using algorithms and so forth, to push out lost archive footage, underground documentaries from the past, or really interesting films that people aren’t searching for but you know that your audience is connected to. That’s how we were able to make 4:3 generate such massive viewing numbers since its launch. Ultimately we knew what our audience was interested in, but rather than serving up similar stuff, we said let’s be a little bit creative and serve them things that we think they’ll like because we actually understand them. FEED: Given Boiler Room’s ethos, and the types of people you’re trying to reach – young, independent, politicised – are you using audience data or algorithms in different ways? Stephen Mai: There are obviously algorithms on all these social channels. Some media brands – and some that I’ve worked with in the past – spend a lot of time trying to hack those algorithms to drive audiences to their platforms, because they sell video pre-roll or other advertising. We’re in quite a unique situation because we’re not trying to drive people offsite. We just have a community that we want to engage and share interesting stuff with. So rather than producing ten or 15 pieces of content that might be designed to drive engagement, because we need to drive people off platform, we’re allowed to curate our content. That’s the ethos around 4:3, that hyper-curation. Even in terms of Boiler Room, we really curate the artists that we play with. We don’t necessarily look at our insights and say: these are the artists our audiences love. We look at the insights and say: this is the type of music that they love. Let’s try and show them artists that aren’t getting attention elsewhere. Or tell them stories that aren’t getting served on other platforms. Our different business model means we have the luxury of not necessarily having to succumb to creating 50 pieces of content a day to try and garner a reaction from our audience to service another business need. FEED: You’ve had an impressive career working with hugely successful media start-ups like Vice and LADBible. What have you learned in that time about using video to build brands? Stephen Mai: Something I’ve definitely done through my career is try to go against expectation and go against the general narrative and the rules of how content should work, how marketing should work, and how they should both come in line together. Using LADBible as an example: I went into a viral publisher that was really struggling around its credibility. Their whole platform was built around driving engagement and they were very successful at that, and driving really massive numbers. I almost did the opposite of what a traditional marketer would do. I saw a massive audience and saw opportunity to leverage that audience and use it to drive positive social change. We used marketing to create real meaningful movements like the Trash Isles (LADBible focused global attention on plastic pollution by asking the UN to declare the Great Pacific Garbage Patch a new, independent country) or U OK M8? (a LADBible initiative to raise awareness around mental health) to shift perception around a brand that was tied to a word, “lad”, that had a negative connotation. I had massive success in redefining what “lad “ meant by challenging almost every preconceived notion of that narrative. How I did that contradicted every single rule of how to use social and how to use content. With U OK M8?, I took a platform that had never put up premium-looking, longform, serious content and basically did just that, around a topic like mental health. In theory, it shouldn’t have worked but it managed to be one of the most successful narratives. We engaged 36 million people and challenged a generation of people in the UK to talk about mental health differently. The same with the Trash Isles. I remember being told that nobody would care about plastic in the ocean because it was a boring topic. We were able to reach 350 million people, get the likes of Al Gore, Ross Kemp, and Judy Dench to become our “citizens” and create a real social movement around a campaign that could very easily have been a PR stunt. What I’ve learned is that you can set your own rules, as long as you do everything authentically. You think about not just the overriding narrative but how you achieve it at every single level, so it becomes authentic. Your editorial strategy from the foundation upward and the entire business is moving toward that narrative, so you’re not just saying something, but it actually becomes true. You’re actually getting your audience to shift their perception around mental health or plastics in the ocean. You’re actually inspiring people to make that change. That’s how you shift the brand, that’s how you can influence a generation. There was a big period when I said out loud that I was essentially going against every single thing the company had known and been successful at. The fact that you can do that, be really brave, and they can come out with eight Cannes Lion Awards –two of them Grand Prix Awards – is kind of amazing. FEED: Is that kind of thing easier to do at some brands than others? Stephen Mai: It’s worked in the business I have been in because they have been small enough where you can actually make a real impact. Coming to Boiler Room, it’s a credible brand but it hasn’t exploited all the opportunities of the credibility of the audience and the different narratives within all these cultures. FEED: How do you plan when you’re trying to innovate and advance a brand? Stephen Mai: A lot of the campaigns that have really transformed the brands I have worked for have come from really looking at the insights, the audience and the opportunity. Using LADBible as an example, if you’ve got a massive audience, if you reach a billion people a month, and the challenge of the business is that people don’t think that audience is credible, the obvious thing to do is to find a way to do something positive around that audience to make it credible. Having worked at Vice and MTV, I know that people are politically engaged and very conscious about the environment. It’s taking things that you know and taking those elements to drive the things you’re trying to achieve. Part of it is instinct and part of it is really dissecting all the different insights and information you have access to. Another part is testing and learning. Digital allows you to do that. You don’t have to spend hundreds of millions of dollars on massive campaigns to develop an understanding of what’s going to work. I would always advocate, if you believe in something and the insights are there and it feels right for the brand, use digital tools to find out if you can make it work. FEED: Boiler Room has an online component, events, VOD content. How will that develop and expand? Stephen Mai: Boiler Room is interesting because it almost acts like a modern cultural institution. It has access to an audience that is hyper-interested in culture and the arts. It regularly connects to audiences in real life. So not only are we interacting with our audience seeing and experiencing the brand as a part of their reality, but we also get to see and experience the brand with them as well, and that gives us a lot of advantages. Part of what we can do is explore more ways to interact with our audience in real life. And I think we can do that with installations. 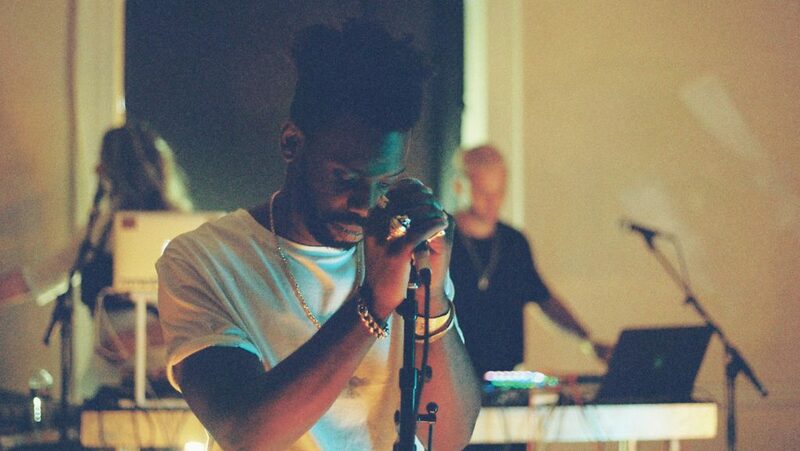 We’ve recently done an installation with the artist Gaika at Somerset House as a part of our SYSTEM campaign which is designed to subvert the narrative around migration and the highlight the influence that migration has had on music and culture. We’re also looking at expanding our global footprint through ticketed events and bigger shows. Beyond that, there’s a massive content opportunity. We have a very creative team and very passionate people within the business, and there’s a huge opportunity to develop TV show formats and content for the new digital age. Because we’re not tied to a platform or a website – we’re completely platform agnostic – there are opportunities for us to leverage our access to talent and our audience to create different types of content. And it could live on a streaming platform, or in a cinema, and would present a different point of view that maybe doesn’t exist at the moment. We’re developing documentary formats and TV series formats. Now we have a film platform with 4:3, something that we didn’t have six months ago. We’ve got a really passionate audience and it’s aligned with the interesting parts of culture, arts and music. There are so many areas that we have yet to exploit: the sky’s the limit. Rather than being a traditional media company, we’re trying to subvert what that means, building a brand that’s strong enough to be able to live anywhere that young people are. FEED: So it’s like you’re building a Red Bull-style, encompassing brand for culture? Stephen Mai: If you look at a brand like Nike, they sit everywhere. Yes, they do clothing and shoes, but there’s more. We have a brand that’s really strong in terms of connection, but because we’ve explored a lot of different content areas, we’re very fluid as well and that’s exciting. FEED: The term “transmedia” has gone a bit out of fashion, but there’s still a desire to create content that doesn’t have to stay stuck on a single platform. Stephen Mai: Absolutely. Because why would you want to limit yourself? Especially if you have all these opportunities. I’m so lucky to be able to work on platforms and work on brands where you have this really strong foundation, and where you can tie it to your passion point and create interesting narratives and make a difference. It’s a privilege. This article first appeared in the September 2018 issue of FEED magazine.